I'll confess it feels like a bit of a cop out to include an active Bestseller on my Staff Picks. But this book is all about deceiving appearance and breaking form. And it really is that good. 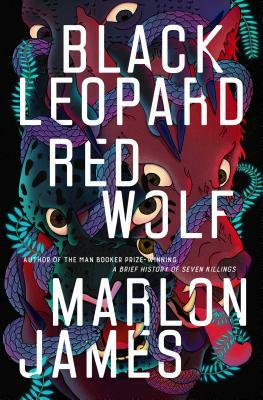 Marlon James has to be one of the most capable Maximalists (the term itself doesn't even feel right - maybe ambitionist?!) working in contemporary fiction today. And as if his Man-Booker-Winning "Brief History of Seven Killings" hadn't been labrynthine enough, he has now "[risked] his literary credentials to write" a fantasy trilogy that he has described as "Game of Thrones set in Africa." True to form, James is being disingenuous here: this book is so much more than an Africanized recycling of the vogue. This story covers enormous ground but never feels burdened; manages to incorporate myriad genres (I've counted fantasy, horror, detective novel, and buddy cop film so far - and this is just the first of a trilogy! ); and depicts a realized world populated with characters who genuinely grow on each page. On top of all of this as well is an incredibly rich and versatile prose style, one that capably "throws" itself to and from the hallucinatorily poetic, the pot-boiled, the natively tongued, and more, always in service to the effect and mood of the story. This is one of the coolest action movies I've ever read, and that's including Hamlet.